The size of the global automation-as-a-service market is projected to increase to $10.91 billion by 2023, aided by surging demand for virtual workforce and growing advancements in cognitive computing and artificial intelligence, according to a research report. The report by Research and Markets said also that the Asia-Pacific region is likely to record the fastest annualised growth of 27% during 2018-2023 as digitisation gathers pace in large economies such as China, India, Australia and South Korea. Globally, North America accounted for the largest share, 43.3%, in the automation-as-a-service market in 2017, Research and Markets said in a press release. Research and Markets didn't disclose the current size of the global or Asia-Pacific markets in the press release. But its projections are in line with other research firms. In December, for instance, Zion Market Research said in a report that the global automation-as-a-service market accounted for $1.9 billion in 2017 and is projected to reach $9.3 billion by 2024, growing at an annualised pace of around 25.3%. Research and Markets said that Asia-Pacific will generate as much as $2.5 billion by 2023 because of demand from India and China, particularly in the financial services and manufacturing sectors. It added that growing demand for consumer products is forcing companies to adopt efficient and cost-effective automated manufacturing processes. The research firm also said that growing demand for business process automation and the falling cost of automation tools and software are helping companies to opt for automating many repetitive functions. According to the report, the market is bifurcated into solutions and service; the solutions category dominated the market in 2017. It didn't give the breakup. The banking and the financial service sector recorded the highest investment in this segment in 2017. While a slew of fintech startups are looking to disrupt the industry, the big companies are looking to automate processes like customer service, compliance, invoice digitisation, credit card approval and mortgage processing, the report said. The major players in the automation-as-a-service industry include Accenture, IBM, HCL, Automation Anywhere, UiPath, Microsoft and Pegasystems. Some of these companies were founded by Indian-origin entrepreneurs or have a large India presence. Automation Anywhere had recently launched a human-centric digital worker to help organisations augment their human workforce and help enterprises' accelerate their digital transformation journeys. 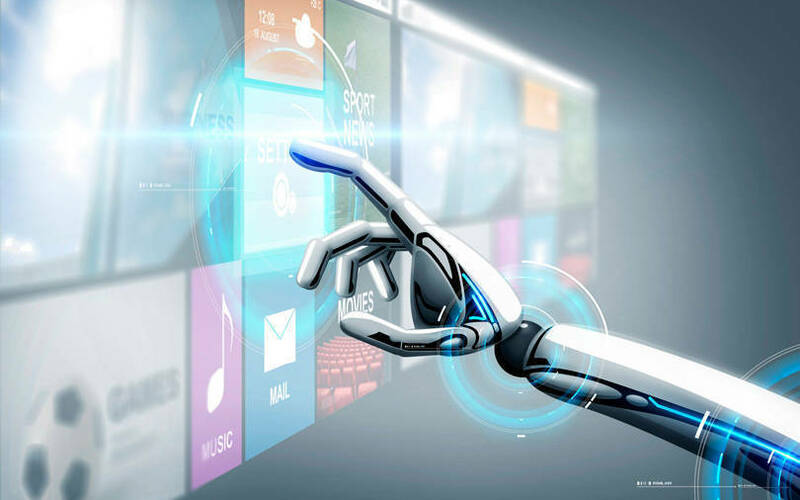 Late last month, Infosys-owned Edgeverve launched an enterprise tool, AssistEdge Discover, to remove human bias in process automation and reduce automation implementation failure without human intervention. Michigan-based IT and BPO services firm HTC Global Services has said it was looking to hire around 3,000 employees in India to scale faster, buoyed by its automation-led services.